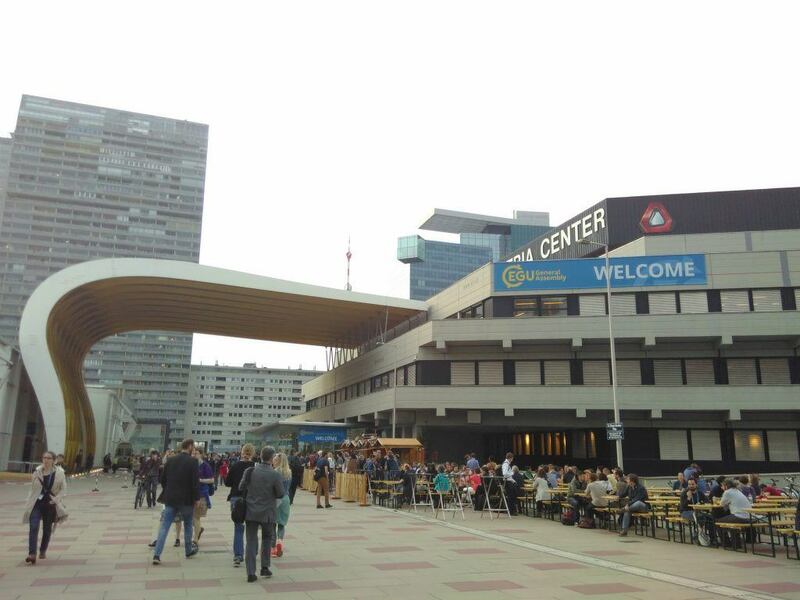 Last week, we (Francisco and María) atended the European Geosciences Union General Assembly 2018 (EGU). For five days, more than 15,000 scientists coming from all over the world presented their work to peers, discussed with colleagues and heard the latest news from fields such as atmospheric sciences, biogeosciences, climatology, geomorphology or ocean sciences, among others. EGU is, therefore, an excellent opportunity to interact with researchers and groups from a different countries or fields, to setup collaborations and, in general, enrich everyone’s perspective. Considering this, we perceive that even though EGU sits together so many expertises and fields, the scientific community still lacks tools to enhance the communication among them. Orals, posters and PICO sessions are great tools to communicate with your peers, as they allow a quick outlook of your work. By doing so scientists tell others what they have found through their research, which is part of that loop of observing-describing-testing-rejecting, which is the basis of the scientific method. However, coming from a different field, a short presentation or an even shorter PICO session is often too specific and requires a strong background to really grasp the implications of that science. Without underestimating the amazing work done by the organization, which makes EGU an accessible, efficient and pleasant conference considering the number of attendees, we wonder what could be done (both at the organization level, but also at the individual researcher level) to make our science more synthetic, integrative and consilient. We believe that a little more effort could be put on creating sessions shared among disciplines, promoting workshops to address transdisciplinary challenges, fostering the publication of multi-domain results, etc. Only by doing so, the scientific community will be able to provide solutions to the complex (and wicked) problems that society faces nowadays.